This weeks heat wave reminds us that summer is here in full swing! 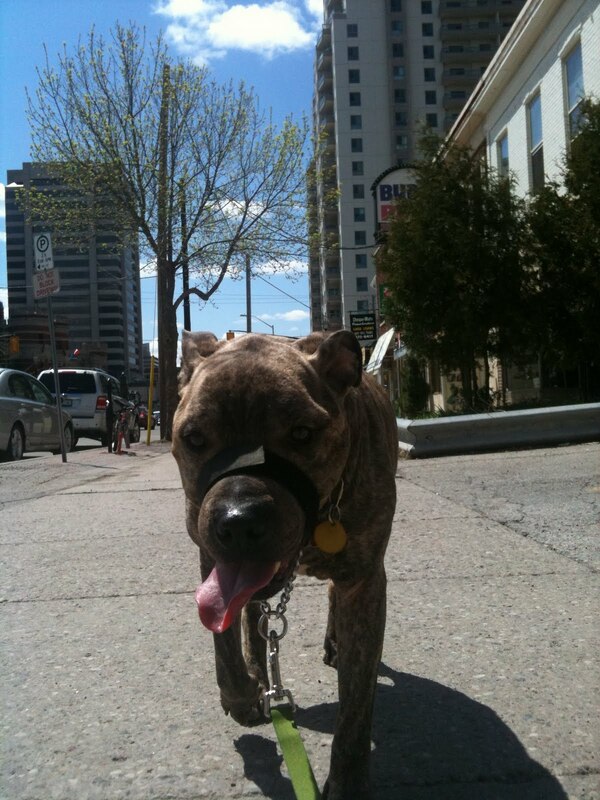 As such, pets and their people are likely to spend more time outdoors soaking up the sun. There are however, many dangers that dog owners should be aware of. Follow these tips to keep your pooch happy and healthy this season. Be cautious about overdoing summer activities. Even short walks on stifling summer days can quickly cause heat exhaustion. Limit walks to cooler daytime (before noon or after 4pm) or evening hours. Carry fresh, cool water for yourself and your pooch. 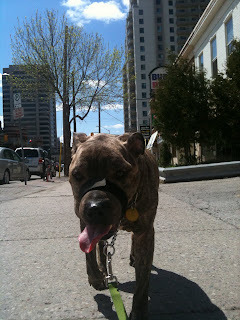 Dogs pant to expel heat (they do not sweat). 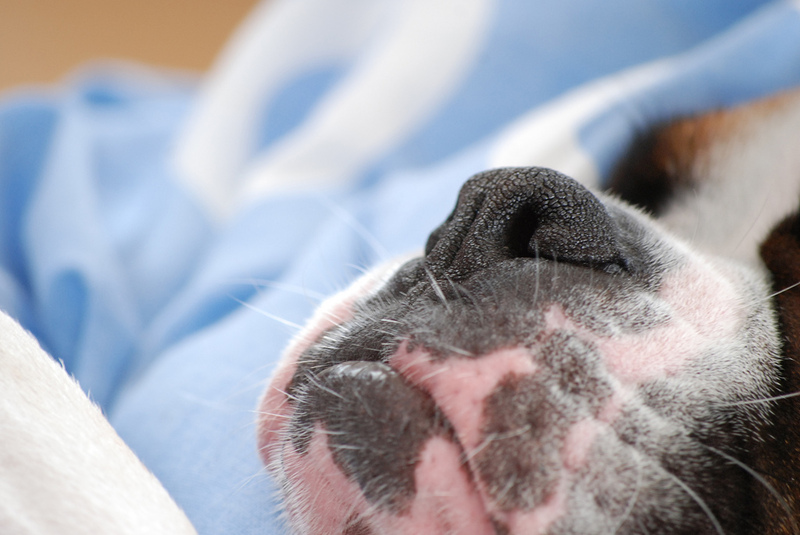 If you live in an area affected by BSL that requires the use of a muzzle, it is important that the muzzle fits correctly and allows the dog to do so. Remember that even on breezier days, sidewalks can quickly become extremely hot. Heat rises from the ground and sensitive paw pads can easily burn. Try to walk your dog on cooler surfaces. On that same note, humans are not the only once susceptible to skin cancer. Your dog needs protection the sun as well. Apply sunscreen to the nose, tips of the ears, and belly especial on short coated and light colored dogs. Who doesn't like a good BBQ or corn roast? Beware that some foods can be toxic to dogs (chocolate) and pieces of corn cob, which may be tasty, can in fact become lodge in the intestines, resulting in the need for invasive and expensive surgery. Make sure that your dog does not have access to these items (either from the table or the garbage can). 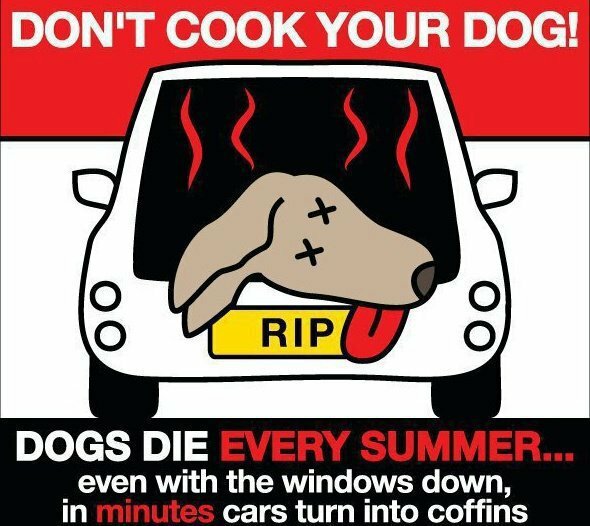 It should go without saying, but every year dogs die, or barely survive, being locked in cars while their people run errands. Within a few minutes, even with the windows down, the temperature in a car without breeze or A/C can rise to an unbearable degree. If you feel bad, bring him home a cool treat. 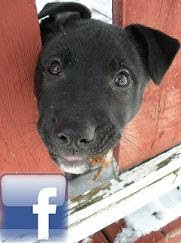 Dilbert - (almost) available for adoption in NS.